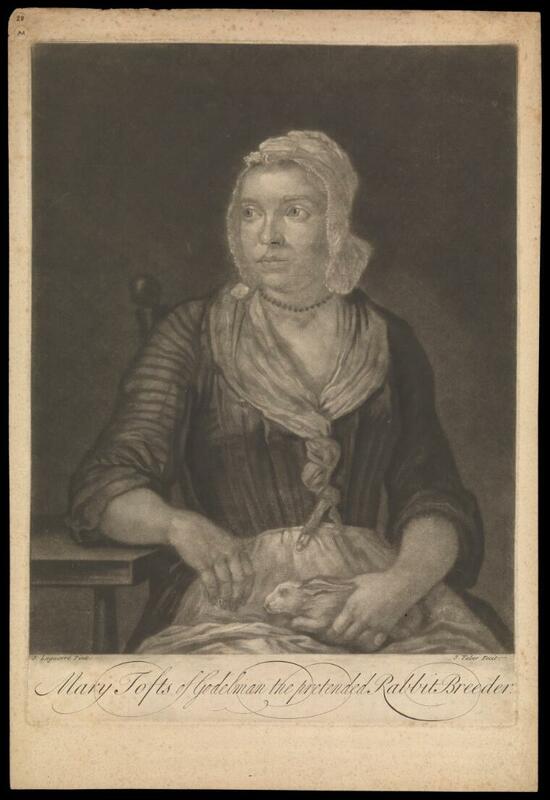 Mary Toft (Tofts). Mezzotint by J. Faber, 1726/1727, after J. Laguerre. Mary Tofts of Godelman the pretended rabbit breeder. J. Laguerre pinx. J. Faber fecit.